Home Procurement News What issues are on the mind of port reform supporters? What issues are on the mind of port reform supporters? Ports may need to change to keep up with increases in shipping volume. But how they do this could be up for debate, and since there are international issues at stake, the right steps could be a matter of global impact. In an opinion piece for The Wall Street Journal, International Transport Forum administrator Olaf Merk wrote about the need to update port policies to meet the new century. 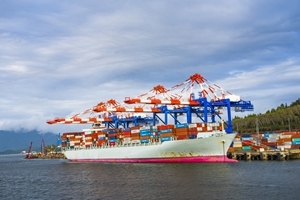 According to Merk, many ports are operating under outdated policies, leaving them ill-equipped to face the realities of international trade and shipping. Ports also aren't meeting the challenges of serving their local communities, he said, another instance of these sites being cut off from the greater conversation. There's been much debate over the future of international trade, especially between the U.S. and the Pacific. Here are some possible directions that ports could take soon to stay active and relevant to trading needs. Ports need to be on guard to meet a higher amount of ships, should there be an increase in coming years. However, that's not necessarily a boon to ports, as Bimco said in a recent release. It's the relationship between supply and demand that will lead to progress, if such a relationship does develop. According to this company, 2016 did not see the same rate of growth for every single type of freight vessel. Container shipping could see 3.1 percent net fleet growth this year, the company said, following a 2016 that "got off to a bad start." Other industries varied as well last year. Crude oil tankers had a far higher index value than oil product tankers, container ships and dry bulkers. The last of these in particular had the "worst year on record," with new vessels on order over the next two years and demolition activity down. This could put ports into a new position depending on the dominant industry in each one's region. Despite challenges within the market, shipping still has the chance to stay strong if it follows its principles. That's at least what a piece in Maritime Logistics Professional noted, saying that confidence in shipping climbed last year, even with the difficulties putting the quality of current vessels in question. Ultimately, this article said that shipping could be strong enough to continue steadily and adjust to massive disparities. With the article's attitude of "shipping will find a way," ports may also need to stay resilient and still be ready for new developments. It might seem that the general trend for shipbuilding should be bigger and better as the years go by. The reality is complicating this, as the Bimco piece said that the large Panamax ships "went out of fashion" last year. However, this and other shipping sizes are still used in new developments. Hellenic Shipping News reported that a new "Ice-class Panamax Bulk Carrier" from Reliance Defence and Engineering Ltd has recently appeared. It might not be time to write off this class just yet. Businesses with procurement management systems will have the tools necessary to pursue efficiency and fix issues with the supply chain.